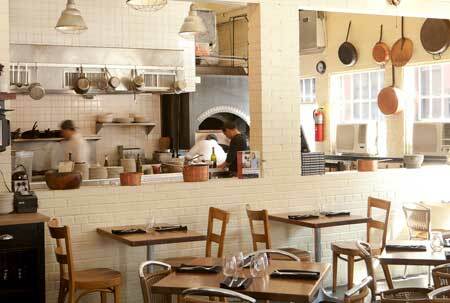 Jonathan Waxman takes on seasonal Italian fare in a lofty West Village space. 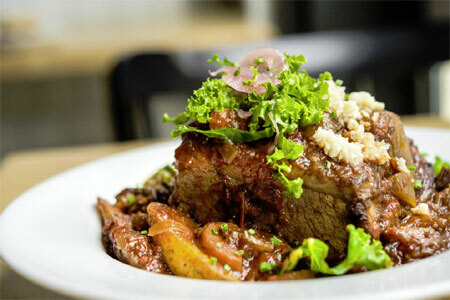 : Jonathan Waxman is operating out of his comfort zone at Barbuto, his dressed-down spot in the far West Village. Housed in a former garage --- the airy space is highlighted by huge doors that open directly onto the street --- the décor aims for a minimalist chic aesthetic, right down to white walls and bare utilitarian gray floors. The kitchen serves up seasonal Italian fare like duck liver bruschetta, pork loin polenta, and squash gnocchi. One of the few constants is the roasted chicken, flattened and covered with salsa verde. It’s crisp and juicy --- pretty much the ideal version of the dish. There is a solid wine list of Italian varietals.